Here you will find a selection of the bestselling Open Edition Prints at Union Art over the last 3 months. Open Edition Prints are high quality, archival grade, prints but unlike Limited Edition Prints they are not signed by the artist or limited in the number of prints produced. Purchasing an Open Edition Print is a great affordable introduction into buying art. This is an Open Edition Print by the artist Daniel Campbell.600mm x 600mmPrint Only&.. This is an Open Edition Print by the artist Daniel Campbell. 445mm x 445mm Print .. This is an Open Edition Giclee Print by the artist Dronma.500mm x 500mmPrint Only .. This is an Open Edition Print by the artist Frederic Flanet.762mm x 1270mmSet in a white f.. This is an Open Edition Print by the artist Jack Vettriano.953mm x 774mmDance Me To The En.. This is an Open Edition Print by the artist John Lowrie Morrison. 400mm x 400mm P.. This is an Open Edition Print by the artist John Lowrie Morrison.Stormy Evening, Tobermory, Is.. 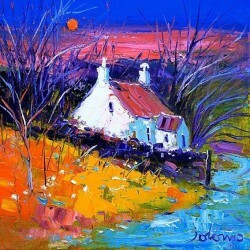 This is an Open Edition Print by the artist John Lowrie Morrison.400mm x 400mmWinter at Ta.. This is a Framed Contemporary Print by the artist Jolly Awesome.420mm x 297mmPrinted on 21.. This is an Open Edition Print by the artist Michael Tompsett500mm x 700mmPrint only.Of.. This is an Open Edition Print by the artist Peter Brook RBA.279mm x 406mm72 for 8 in Diffi.. This is an Open Edition Print by the artist Peter Brook RBA.254mm x 254mmEddie Stobart Get.. This is an Open Edition Giclee Print by the artist Peter McDermott.420mm x 594mm .. This is an Open Edition Giclee Print by the artist Rob Hain.500mm x 500mmAround and About .. This is an Open Edition Giclee Print by the artist Rob Hain.500mm x 500mmCrossing the Brid.. This is an Open Edition Print by the artist Rob Hain.500mm x 500mmFestival City Print Only.. This is a Signed Open Edition Print by the artist Simon Harmer.420mm x 279mmHand SignedFas.. This is an Open Edition Print 700mm x 500mm Once upon a time there were four litt..